Hello, I’m interested in 47-49 Rockwell Street and would like to take a look around. The details on 47-49 Rockwell Street: This multifamily located in North Faulkner, Malden, MA 02148 is currently for sale for $695,000. 47-49 Rockwell Street is a 2,570 square foot multifamily with 5 beds and 2 baths that has been on Estately for 2 days. 47-49 Rockwell Street is in the North Faulkner neighborhood of Malden and has a WalkScore® of 80, making it very walkable. 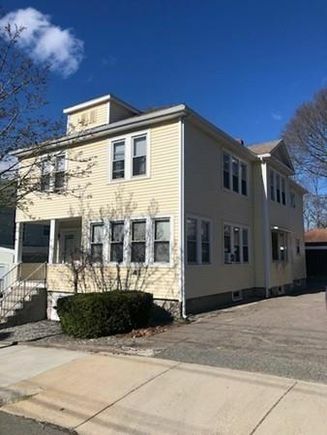 This multifamily is in the attendance area of Salemwood Elementary School, Forestdale Elementary School, Malden Early Learning Center, Linden Stem Academy, Malden High School, Ferryway Elementary School, and Beebe Elementary School.